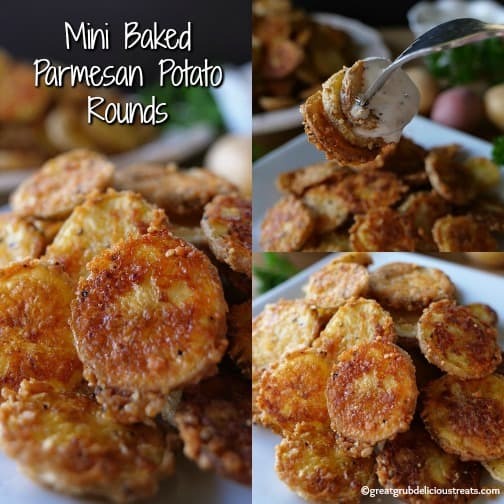 Another great appetizer are these mini baked Parmesan potato rounds. 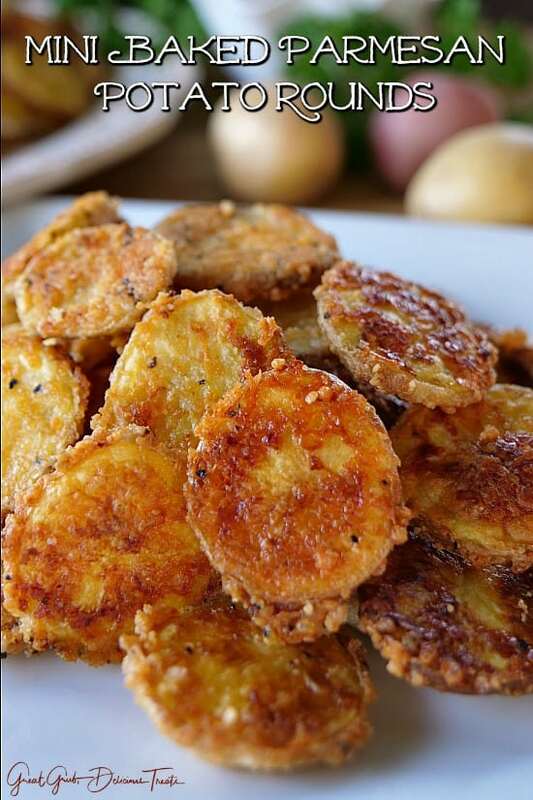 These tasty little potatoes are covered in Parmesan cheese, seasoned with garlic salt and pepper, baked until fork tender and then served up with a favorite sauce, like ranch dressing or some delicious nacho cheese. 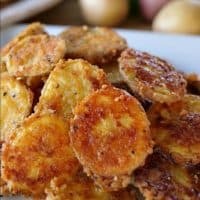 An easy recipe that tastes great, simple to make, one that everyone will enjoy and a perfect recipe to serve during the Super Bowl. These are also great served for breakfast as well. 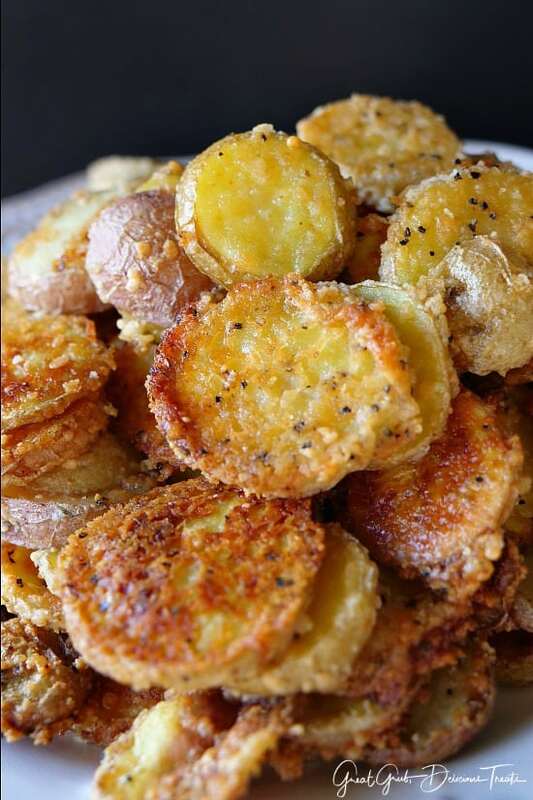 Basically, just cut the mini potatoes into thin slices, toss in a little oil, then add to the cheese mixture, shake to coat, place in a single layer on a couple of baking sheets, pop in the oven and bake until fork tender. 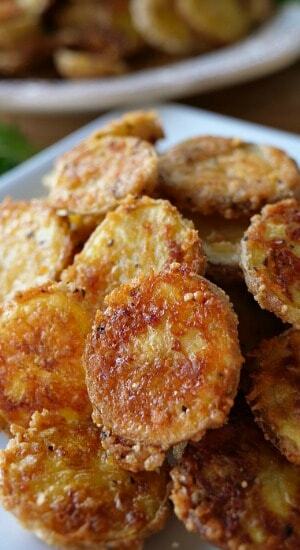 Then enjoy by dipping these mini baked Parmesan potato rounds in your favorite dipping sauce. 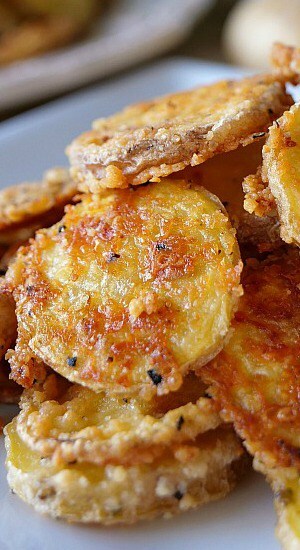 With the Super Bowl on Sunday, these make a great tasting appetizer. As I’ve said many times, you can never have too many appetizers. 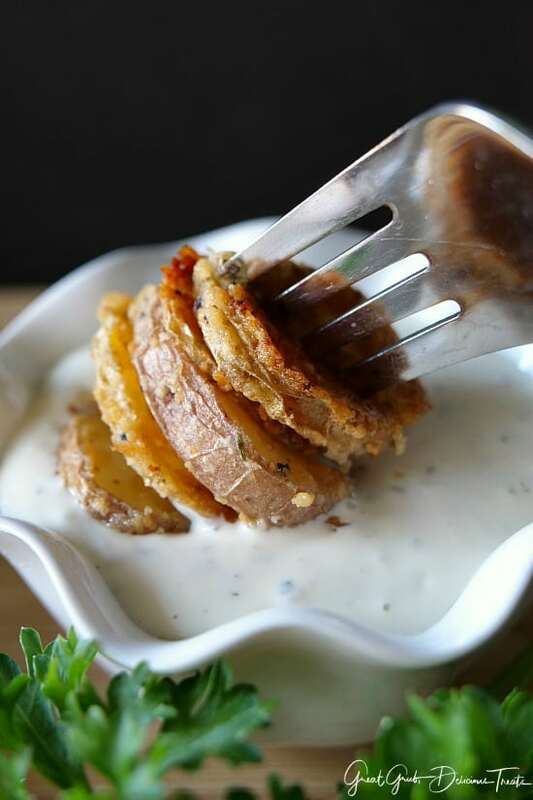 Here are a few more delicious potato recipes you can find on the blog: Cheesy Baked Potato Casserole, Cheesy Potato Casserole Bake, Red Potato Salad, Kielbasa Potato Salad and Cheesy Breakfast Potatoes with Crispy Bacon. Preheat oven to 400° and spray 2 baking sheets with non stick spray. Wash and slice potatoes thin, place in a large mixing bowl. Using a gallon size baggie, add grated Parmesan cheese, garlic salt and pepper. Zip shut and shake to mix. Spoon potatoes into cheese mixture and shake to coat. Once browned and fork tender, approximately 40 minutes, remove from oven and enjoy with your favorite sauce, like ranch dressing.